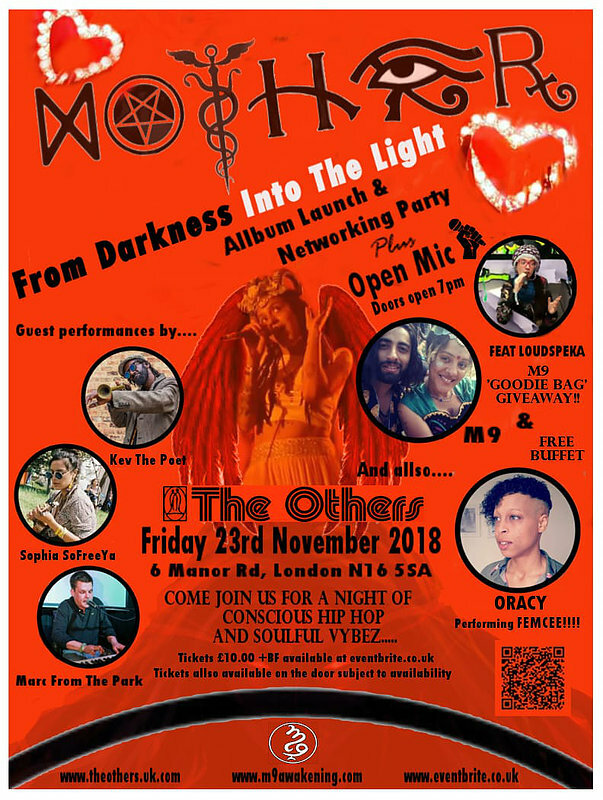 Come and enjoy a night of vibrant music, beautiful food and good vibes as we preview the Mother album awaiting its release on Monday 26th November 2018. With live performances and title track video first look preview! As well as preview of new M9 video for WHAT YOU HEARD ABOUT ME featuring 9Tales. 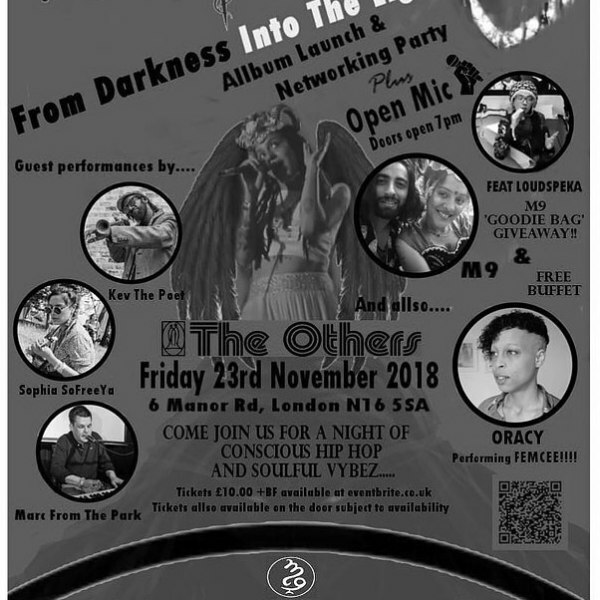 Special guest conscious lyricists to also perform on the night, to be revealed soon, plus an Open Mic for anyone that wants to showcase their skills.